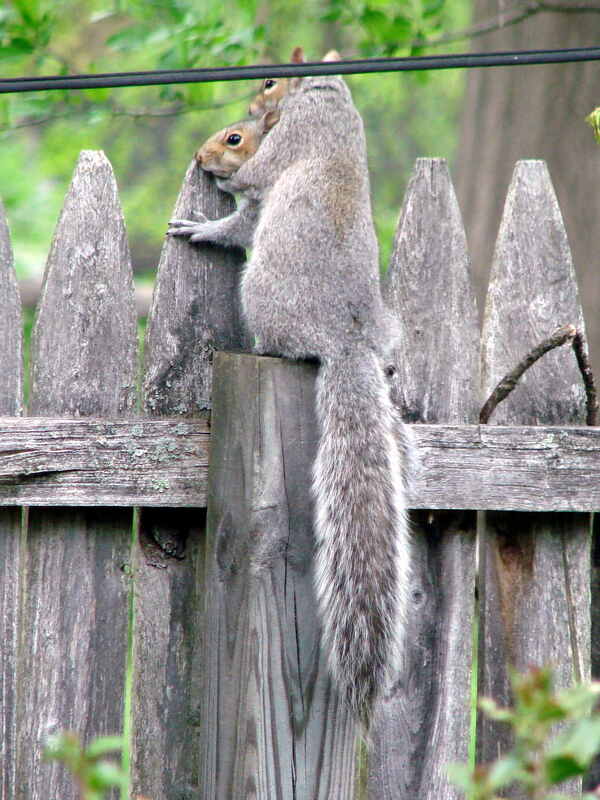 We recently watched a gray squirrel drag a completely limp and unresponsive companion across the driveway, stopping every few yards to rest. 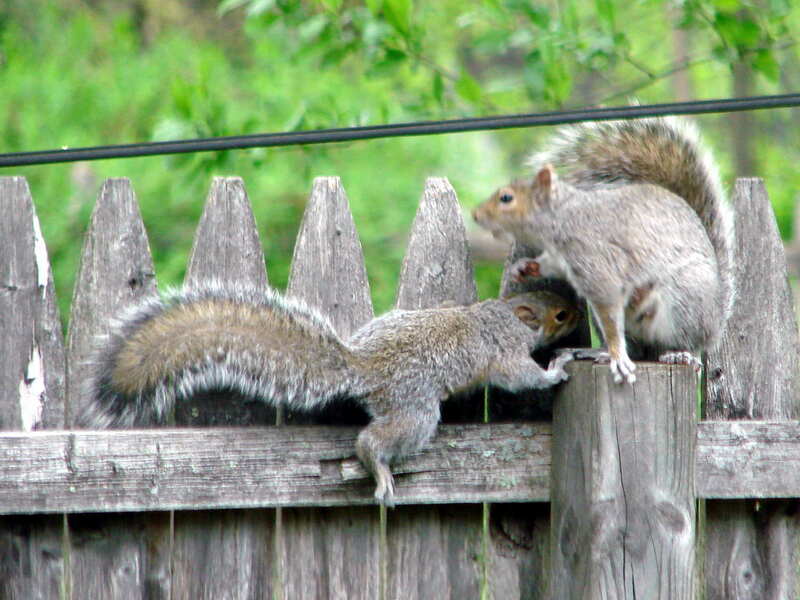 We often see pairs of squirrels frisking / chasing / tussling in the yard, but this was something new. 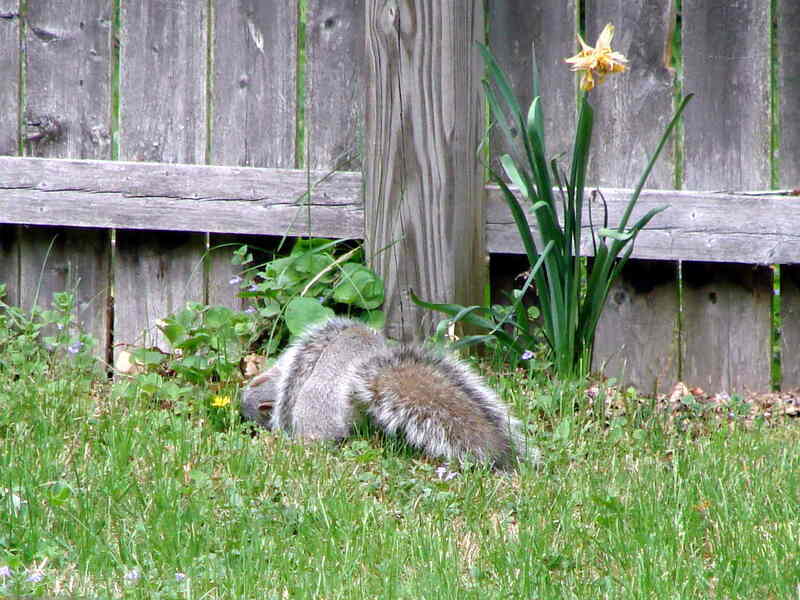 So apparently the mother squirrel had hauled one of her pups away from something. Perhaps it was stunned after falling out of a tree or the sole survivor of a hawk attack? We’ll never know The Rest of The Story. Taken through two layers of wavy 1955 window glass with the Sony DSC-H5. This entry was posted on 2015-05-27, 07:24 and is filed under Photography & Images, Science. You can follow any responses to this entry through RSS 2.0. Both comments and pings are currently closed. Great post. I love squirrels but I’ve never heard of a story like this.